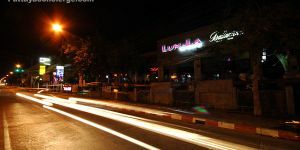 Lun-La is a famous pub and restaurant, especially for Thai visitors. 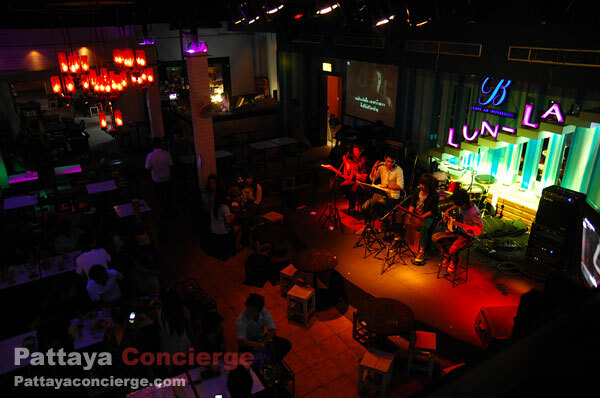 Lun-La offers great atmosphere with gentle music and attractive decoration, so it is suitable for those who would like to enjoy a relaxing dinner or drink in Pattaya City. There is a variety of dishes and drink, where the price is also reasonable. Not surprisingly, this pub is quite popular. 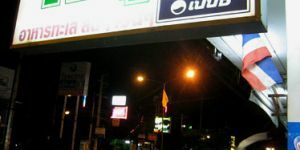 Its location is at the middle of Pattaya Third Road, between North Pattaya to Central Pattaya. 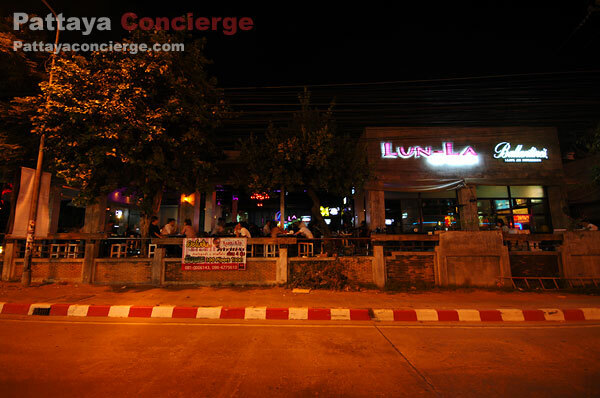 Pattaya Lun-La Pub and Restaurant officially opened in 2010. It is open-air style, which visitors can see activities in the pub from the outside. Its interior and light adjustment also makes the pub look more welcoming atmosphere. It is able to choose the seats, depending on your preference, from either the indoor area or the terrace, as there are two separated areas for the pub. When seeing what this Lun-La Pub and restaurant design and offers, the aim of it would be to upgrade itself as a higher class pub and restaurant in this street. 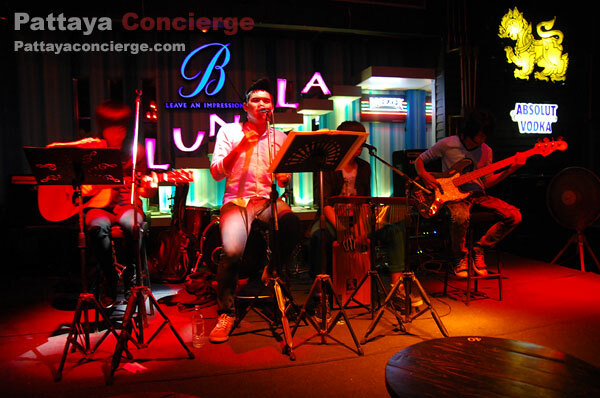 There are a variety of music styles perfoming in Lun-La in order to deliver different atmospheres towards customers. In other words, you will see 3 bands a night playing live music. There are also a lot of dishes provided in Lun-La, where some dishes are from their own recipes. Just go to Lun-La Pub and Restaurant if you want to taste them. 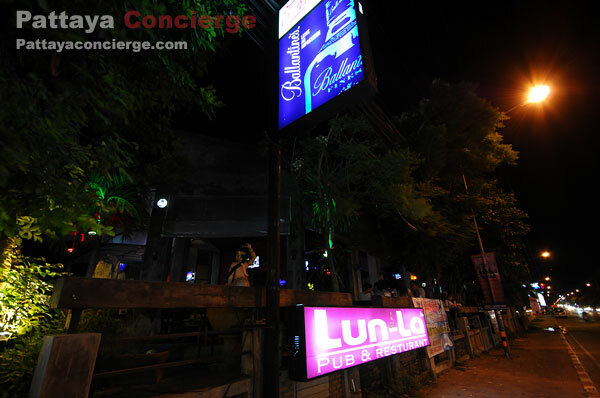 Lun-La Pub and Restaurant opens from 19.00 until late night and is situated next to Pattaya Third Road (between North Pattaya Road and Central Pattaya Road), it would not be difficult to find it. If you come from North Pattaya, you will see the pub in the left hand side. Far from here about: 0.9 km. 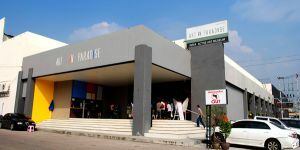 Art in Paradise Pattaya is another great place for tourists to visit in Pattaya City because it is, in the present, the first and only one illusion art museum - the museum presenting Anamorphosis. Additionally, visitors can enjoy the museum interactively by taking photos of your posture with 3d illusion painting or even touching the painting. 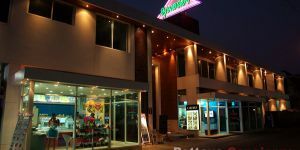 Besides, its location is really great since it is in the city, Near North Pattaya Big C Supercenter. Not surprisingly, the museum is popular for visitors in different ages, especially kids. Far from here about: 1.9 km. 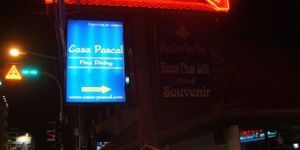 One of most popular places in Pattaya definitely includes Mini Siam. It presents a collection of models of important places in the world in order to make visitors feel like they are going to many countries in a day. The examples of these models are the Tower Bridge, Eiffel Tower, the Statue of Liberty and Trevi Fountain, Taj Mahal , Wat Phra Kaew, and so on. 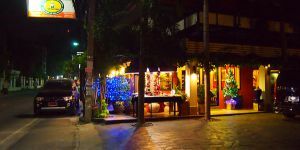 Mini Siam is also easy to go as it is located at the main Street of Pattaya. Far from here about: 2 km. The Bottle Art Museum Pattaya is a unique sightseeing in Pattaya. As the name implies, inside the museum, visitors can find elaborate bottle creations. All the bottles not only are presented by models of interesting places all over the world but also are presented in various colors with different types of light reflecting on their walls. This unique representation offer visitors an extraordinary experience with hand-made souvenir shop. It is located at km 145 off Highway No. 3. Far from here about: 2.1 km. Wong Amat beach is another beautiful and a bit quiet beach which is located in North Pattaya Part near Central Wong Amat Beach Resort. This Wong Amat beach is about 1 kilometers long curve. It will be suitable to any of those who prefer to take a break at the beach quietly. But, because this beach is quiet, there are currently only a few restaurants, no nightlife offered, and no major convenience stores except a family mart. 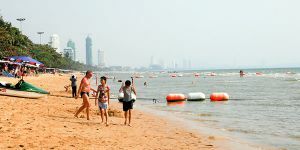 However, there are lanes connecting to main Naklua Road or Pattaya Beach in just several Minutes, so visitors can drive there if they need something that is not supplies in Wong Amat Beach. Far from here about: 2.3 km. The Ripleys Believe it or Not Museum in Pattaya presents a great number of abnormal stories all over the world. There are creepy hunted houses, museum, and 4-d Motion Movie Theater. Currently, there is also Louis Tussauds wax works for visitors to take a photo with. Visitors could spend several hours on enjoying all of them. The Ripleys Believe it or Not in Pattaya is located in Royal Garden Plaza, which is very near Pattaya Beach. 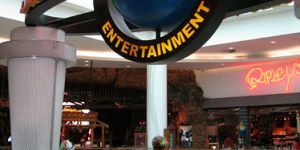 However, the pictures showed for this Ripleys Believe it or Not Museum are only around the museum, because the collection need to be show inside only. Far from here about: 3.3 km. 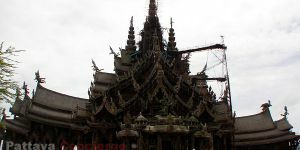 The Sanctuary of Truth (Prasat Satchatham) is considered as the most attractive sights in Pattaya since it is an extremely large building which is embellished with beautiful wood carvings - homage to the ancient vision of: earth, knowledge, and Asian philosophy. Visitors can experience visions of ancient life achieved and nurtured by religious and philosophical truths. There is also a dolphin show in the lagoon at 11.30 a.m. and 3.30 p.m. The Sanctuary of Truth is located in the Naklua area, which visitors can hired a baht bus (Songteaw) to be there, or can book a tour through most travel agents. Far from here about: 3.9 km. It is accessible by an asphalt road, which leads up to the hilltop. Khao Phra Bat Pattaya is now the site of the Naval Radio Station where the monument of Krom Luang Chumphon Khet Udomsak, the Father of Royal Thai Navy, is situated. A sacred Buddha image is also enshrined on the hilltop. The viewpoint on the hilltop offers a panoramic view of Pattaya City and Pattaya Bay. Far from here about: 4.1 km. 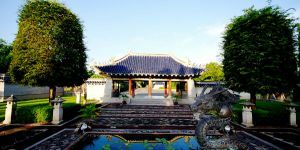 Wang Sam Sien is a place in pattaya presenting the collection of Chinese antique works, such as statues from Chinese history and stories of the 24 gratitutes. Visitors can enter Wang Sam Sien everyday with free of charge. There is also a garden presenting natural atmosphere. There is a restaurant for serving tourists as well. 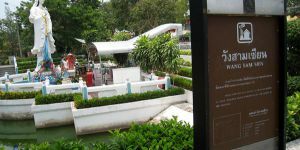 The location of Wang Sam Sien is on Pattaya hill very near Wat Phra Yai (Big Buddha). Far from here about: 4.2 km. 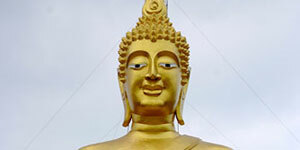 One of most tourist spots in Pattaya is Wat Phra Yai (Or Big Buddha Wat). This is because the image Buddha is so huge. Visitors usually come to see how huge it be and also pay respect at the image Buddha. Some visitor hit the bells, around the hill, from the start to the end because they believe a lot of good things will happen to them after doing so. The location of Wat Phra Yai is on the hill near Suan Chaloemphrakiet and Wang Sam Sian. Far from here about: 5.1 km. A new tourist attraction in town is the largest and most modern ocean aquarium in Asia, boasting a 100-meter-long, 6.4-centimeter-thick acrylic pedestrian tunnel through an underwater environment filled with dozens of marine species. 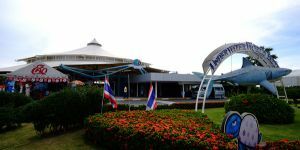 Located just 200 meters south of Tesco Lotus in South Pattaya, the new theme park covers a total area of 12-rai and is housed in a structure similar to a large circus tent. The aquarium itself houses more than 4,000 marine animals, comprising more than 200 different species from the region as well as some rare creatures from overseas. Top in the Visitors must-see list is the rare shovelnose ray, a hybrid between a shark and a stingray. Admission fee for adults is 500 baht and children is 300 baht. Far from here about: 5.2 km. One of most tourist attraction in Pattaya is the Million-Year Stone Park and Crocodile Farm. In the farm, there are a great number of crocodiles and rare animals, including horses, albino, and bears. Additionally, there are not only beautifully landscaped grounds with elaborate flower and rock gardens, but there are also a number of sorts of amusing and exciting shows to attract both local and foreign visitors. Travelers are also allowed to come close to play or to take photos with the animals. 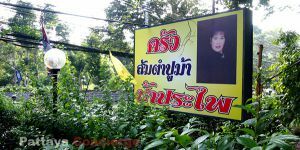 However, it needs to be visited by private car, taxi or Sang Thaew rather than by foot because it is located approximately 9 kilometers from Pattaya city. A well known tourist place in Pattaya is Pattaya park due to offering a set of activites such as Sky Shuttle, Speed Shuttle and Tower Jump. 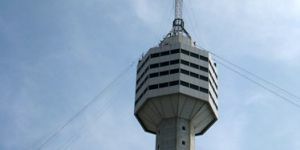 In particular Tower Jump, it is one of the most interesting activity because not only can you see a panoramic view from the highest of the Pattaya park tower, but you can also try jumping to the ground by the activity program. Far from here about: 5.8 km. 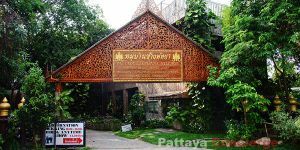 Pattaya Elephant Village is an attraction in Pattaya that provides information about Thai elephant. It is a popular place for foreign visitors. Also, Pattaya Elephant village also focus on elephant prevention, so this place would not be an issue for nature-loving visitors. Apart from providing the information, the village also offers touring the village by riding on an elephant, where it is normal package and trekking one (more expensive). This village can be seen as an alternative attraction style in Pattaya. Its location is 2 kilometers on the right of Suthawat Temple. Far from here about: 6 km. 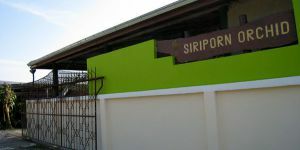 Siriporn Orchid is a well-known orchid garden in Pattaya. At there, visitors will be able to see a variety of beautiful orchids, such as Pompadours, Golden, Vandas, Cattleyas. Although a plenty of flowers will bloom during a rainy season, visitors can still see a naturally beautiful garden for the other times. Because of that point, there are tourists visiting the garden throughout a year. There are flowers and plants available for visitors to purchased, and there is also a small lake for visitors to see and feed fish. The location of Siriporn Orchid is near Wat Soodthawath which is at Nern Plub Wan Road connecting to Sukhumvit Road, Central Pattaya. Visitors can go there by a Songthaew or motorcycle. Far from here about: 6.4 km. Jomtien Beach (Hat Jomtien) is another beach that visitors choose to take a rest. This is because the beach is a lot quieter than Pattaya Beach. Also, Jomtien beach is known as a place for enjoying water sports such as wind serve, jet skis, banana boats, and so on. Well maintaining clean seawater is the reason why water sports in Jomtien is always popular. Beach beds under umbrellas are also available along this beach. Jomtien Beach is located at 4 kilometers south of Pattaya City. Far from here about: 8.1 km. Thai Floating Market Pattaya is seen as both an attraction, and a place for shopping in Pattaya. 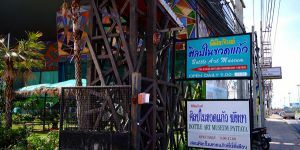 The concept of this floating market is to provide Thai traditional and cultures from 4 areas of Thailand, Northern, Southern, Central, and Northearthen, so Thai traditional and cultural shows and products are presented in the market. As it is floating market, a lot of merchants offer traditional Thai food, while they are on their boat. 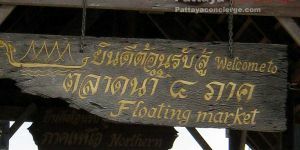 Thai Floating Market Pattaya is beside Sukhumvit Road near the city, and there are buses that visitors can take from the beach road. Far from here about: 9.8 km. 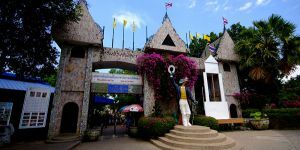 Three Kingdoms Theme Park is one that is listed as Pattaya tourist attractions. It was established with a purpose of giving new means of creativity to the world, and it has been used to entertain either the tourists or the native travelers.The central theme of the park was formed by Romance of the Three Kings, which is the renowned historical Chinese novel. Inside the park,there are a number of wonderful architectures that encourage the park look beautiful due to a combination of Chinese and Thai constructive pattern. Besides, there is also a wonderful veranda tile painted with the Romance of the Three Kingdom story. The location of Three Kingdoms Theme Park is at 100 Mu 9, Pong sub-district, Banglamung. Jae Toh Restaurant Pattaya is very famous for noodle soup with Meatball and steamed meat, steamed pork. The restaurant is clean and larger than common noodle restaurant in Pattaya. The noodle price is also reasonable and their service is quick and good. However, at noon, there will be a lot of customers visiting Jae Toh Restaurant, so it would take more time than non-busy period. 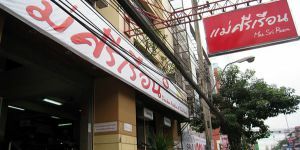 Jae Toh restaurant is located next to Pattaya 3rd Road in the area of North Pattaya. Deang Dam Restaurant is a famous restaurant due to distinctive recipe and deliciousness. Although a majority of food types in the menu are based on different styles of noodle soups, there are also special dishes come with and without rice. Desserts are also offered in the restaurant. This means that customers can find different style of foods. Addition to this point, price is not expensive as well. 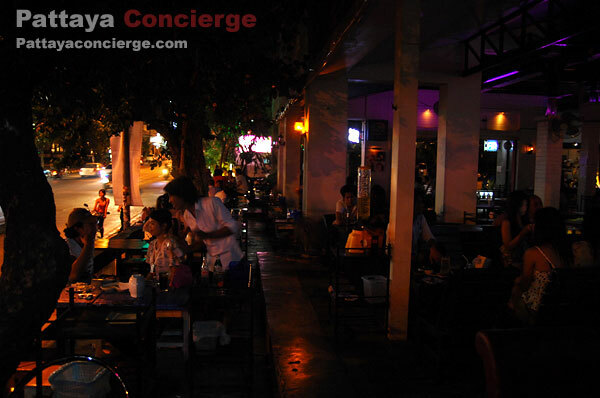 The location of this Deang Dam Restaurant is at Central Pattaya Road, near TOT Public Company Ltd. The open time is from early morning till late night. Jejuk is one of recommended seafood restaurants in Pattaya. Although overall factors, such as atmostphere, service, and location, for this restaurant is normal, the deliciousness and inexpensiveness is very attractive for customers. In other words, the reputation of Jejuk Restaurant comes from being valuable. In fact there is another branch, but this one is the original one. 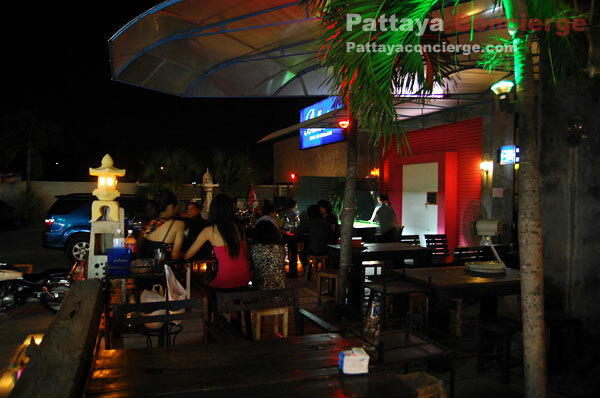 It is easy to find the restaurant because Its location is at North Pattaya Road near Tesco Lotus North Pattaya. Mae Sri Ruen Restaurant is famous in chicken noodle for a long time. However, this restaurant currently doesn't offer just chicken noodles. There are a range of food choices available here, including one dish choice, desserts, and drinks. It is a great restaurant offering a lot of things you want to eat. Additionally, there are several branches in Pattaya City (including at Pattaya Outlet Mall, and North Pattaya Big C Supercenter). By the way, the original one is located next to Central Pattaya Road. Khun Sri Restaurant is renowned at soup menus. Most popular choices is curdled blood of hogs soup and Tom-Yum (the latter case is a bit spicy though). Several times, the restaurant information was mentioned in Thai TV programs or presses, so there are a lot of customers visiting the restaurant, especially at noon. In the past, it is quite difficult for customers to park their car, but recently, there is a car park behind the restaurant provided for customers convenience. 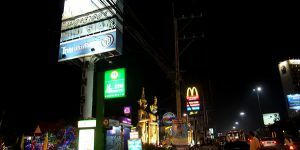 Khun Sri Restaurant Central Pattaya is located at Central Pattaya Road near TOT Thailand Company Ltd.
Far from here about: 1 km. 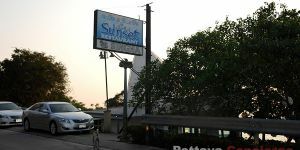 Somsak restaurant is a famous restaurant in Pattaya. 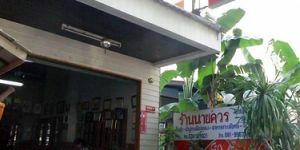 As Somsak Restaurant is an approximately 20 year old restaurant, it offers customers a sense of maintaining recipes for decades, in particular for fried ice-creams. The fried ice-cream is different from most other restaurants offering this kind of ice-cream, because a scoop of ice cream is put into thick cake butter rather than mixed with bread powder. And definitely, the taste is really good. Foreigners are main customers for the restaurant. 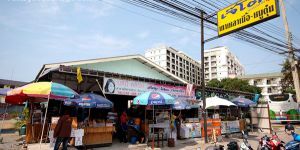 The location of Somsak restaurant is at Soi 1 of North Pattaya (Beach). Far from here about: 1.1 km. Ko-Khun (Khun Thong) Phonyangkham Restaurant Pattaya is an interesting choice for beef lovers. 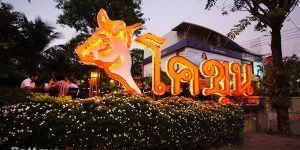 According to the Thai name of this restaurant, main dishes are certainly from beef, but this restaurant is different from other beef restaurant because the taste and softness of the beef is greater. Additionally, price is also not expensive even for Thai customers. This is why the restaurant is pretty popular for either Thai or foreign visitors. 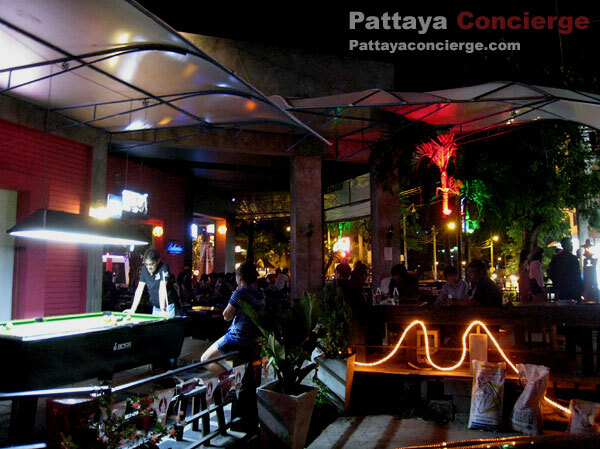 Although there are currently many branches of the restaurant in Thailand, Pattaya branch is only one in Chonburi. 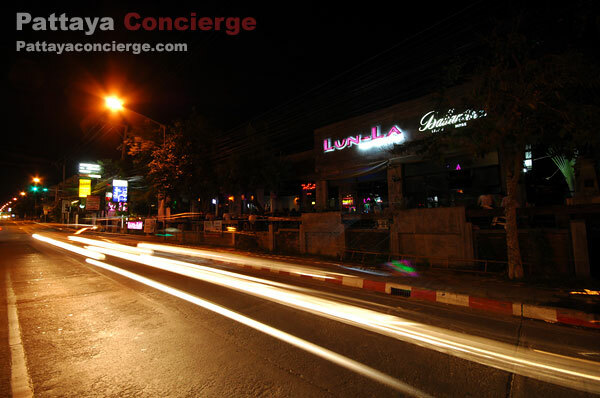 The location of the restaurant is at North Pattaya (Near Tesco Lotus). 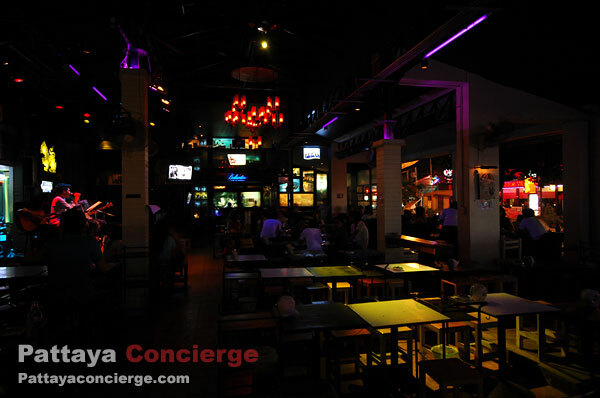 Havana Bar and Terrazzo Restaurant is one of great places to be recommended in Pattaya. They are the ground based dining arena in front of Holiday Inn Pattaya (Beachfront Hotel, North Pattaya). 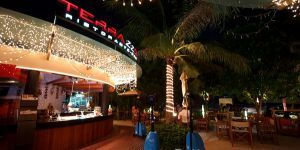 Havana Bar is the only one retro Cuba Style decorated in Pattaya, whereas Terrazo restaurant is a relaxed outdoor style mainly offering a variety of Italian food choices. There are Happy hours offered daily in order to attract more customers to visit the bar. 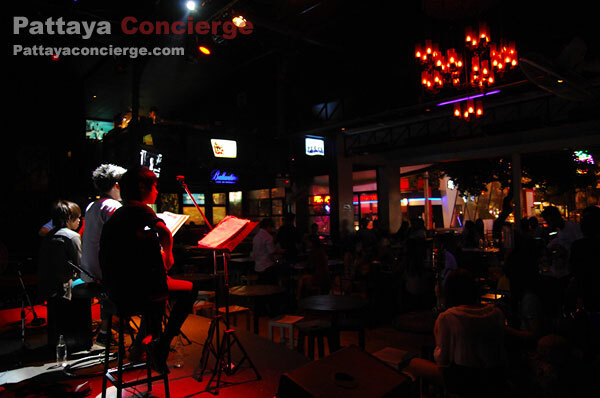 Those who prefer live music atmosphere can visit the restaurant on Wednesday, Friday or Saturday from 8.30 PM to 11 PM. 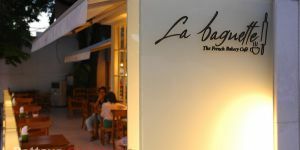 La Baguette is a famous French bakery cafe in Pattaya. There are a range of bakery and cake choices offered. Each of them is tasty, of course! Not only the taste that make the cafe popular, but its beautiful decoration with white vintage theme also makes the atmosphere great. If you are one of French bakery fans, you should not miss this one when visiting Pattaya City. Its location is at Naklua Road, near Dolphin roundabout. Far from here about: 1.8 km. Somtam Pa Praphai is the most recommended restaurant, by Bangkok native-Thai visitors, for Eastern Food restaurant in Pattaya. It is recommended to have fried chickens when having Somtam because they become more tasteful when matching up in this restaurant. Somtam Pa Praphai was a small restaurant, but it is changed location for expanding its area so that the restaurant can take care more customers than before. Customers sometimes still need to wait when coming to the restaurant at noon though. 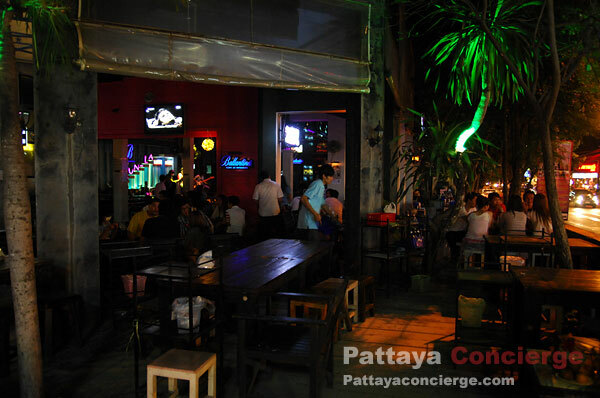 Somtam Pa Praphai Pattaya is now located at Soi 18 Naklua, which connects to Wong Amat Beach. 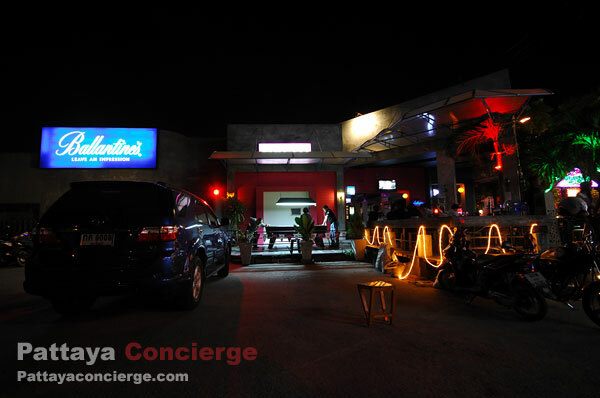 Pizzeria Romana is one of interesting Italian restaurants in Pattaya. 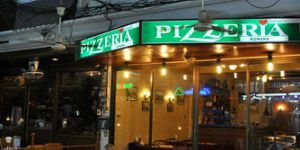 Although the restaurant has not been recommended by many major sources, from a chance of visiting the restaurant once, Pizzeria is one of our choices whenever we would like to have pizza or spaghetti in the city. The food price is also not expensive, a little cheaper than pizza restaurants in shopping centers, in general. 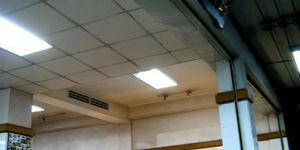 The location of the restaurant is in Central Shopping Arcade. 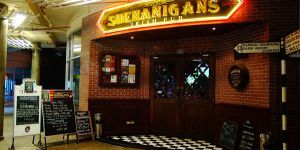 One of an interesting Pubs and restaurants in Pattaya is definitely Shenanigan Irish Pub, on the second floor of The Avenue Pattaya. Its atmosphere and decoration are Irish style, but food choices are more international, such as Mexican, Western, Thai, and Irish. Surely, customers can also enjoy a cocktail, and a range of beers as well as spirits, including draught Guinness, inside. Several screens available inside are for sport fans, especially soccer, and there is a pool table for customers to play. Additionally, different types of "All you can eat" promotions are available, everyday. Ruen Thai Restaurant Pattaya is one of distinctive restaurants in Pattaya because of its appearance, which looks like Thai traditional building. Ruen Thai Restaurant not only offers both Thai and international cuisines, but also offers Thai Traditional shows. Additionally, the restaurant also provides open-air atmosphere with beautiful interior towards the customer in order to make the restaurant a good place to have a meal for a couple. 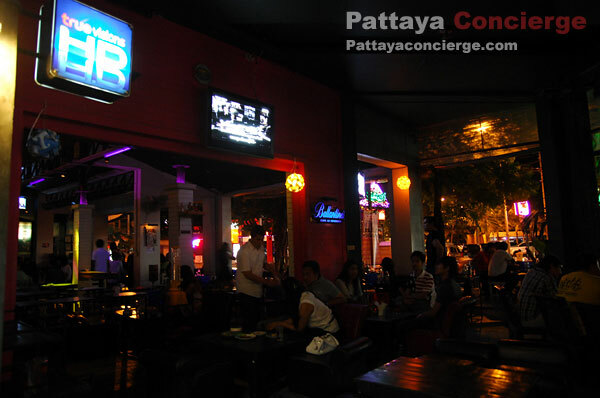 Ruen Thai Restaurant location is at Pattaya 2nd Road (in the middle of South and Central Pattaya Road). Far from here about: 2.6 km. Wandee House Restaurant is not a large restaurant, but its reputation is not as small as its size. Although the restaurant is not located next to the main street, there are still many customers visiting this restaurant. This is because the taste of dishes is great. Its menu and taste are uniqe from other restaurant. Services of the staffs and the atmosphere from the decoration as well as music background are also good enough to consider therestaurant as a romantic restaurant near Pattaya City. Its price, however, is a little higher than average. Almost forget to say that this restaurant offer Italian and Thai food as the main choices. Its location is almost at the end of Soi 16 Naklua, Pattaya. Far from here about: 3.2 km. Kupcakz is one of recommended bakery cafes in Pattaya. It is in fact owned by Z Through by The Zign hotel. This small cafe is well decorated and offers a range of food choices, such as hot- cold tea coffee, bakery, fruit juice, smoothie, and several meal dishes. It can then support a range of customer sorts at the same time. Apart from all of those, free internet WiFi is also offered at Kupcakz. It is therefore can be seen as a relaxing place for many visitors. 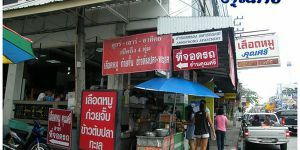 Its location is at Soi Naklua 12, as Sanctuary of Truth. Bali Hai Sunset Restaurant is a spectacularly designed restaurant in Pattaya, underneath the concept of white dome appearance. The restaurant offer both Thai and International dishes, where it taste is also great. There are many seats offered at an outdoor wooden deck, which customers would enjoy seaside view, and sunset in the evening. In other words, the restaurant can definitely offer very romantic sense towards customers, especially a couple. Bali Hai Sunset Restaurant is also located in a great place because it is near Pattaya Walking Street but in Bali Hai area . At Royal Cliff Hotels Group in Pattaya, there are various styles of restaurants to support different types of visitors and hotel customers. International restaurants, buffet restaurant can also be found there. Furthermore, there are a famous underground wine cellar with dining-in facility that houses an amazing selection of over 1000 wine labels and the Breezeo, new chic and trendy al-fresco beach venue, offering commanding views of the sea; and of stunning sunsets. The location of Royal Cliff Hotels Group is just next to Pattaya Hill. Somtam Nai Khuan Restaurant Pattaya is one of famous north-eastern food restaurants in Pattaya. Either local Thai residences or Thai visitors recommend visiting this restaurant for this type of food. Even Thai stars come to have a meal in this restaurant time to time. There are several certificates to guarantee that Somtam Nai Khuan Restaurant is a great restaurant. Another good point is that the price of dishes is standard, so you could have some more money to do something else after a visit. 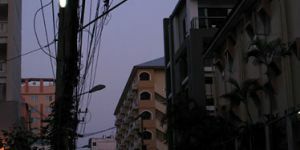 Its location is next to Banglamung police station. Far from here about: 4.4 km. Moom Aroi Restaurant Naklua is one of the most recommended Thai seafood restaurants from Thai people, since the taste is good while the price is reasonable. However, this does not meant that it is not good for foreigners as there are also a lot of expats visiting the restaurant. Another point to attract customers is that the restaurant is next to the sea, which offers relaxing atmosphere. 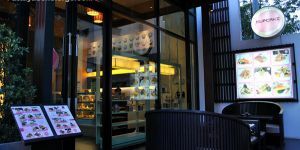 There are approximately 100 tables, indoor and outdoor tables, for customers to choose from, so although the Moom Aroi Restaurant Naklua Branch is so popular, it can take care a large number of customer. 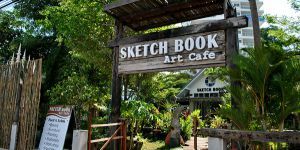 Sketch Book Art Cafe is a soft restaurant in Pattaya that is designed with different style from other restaurants. This is because it is the art-gallery cafe. Customers of the cafe can experience drinking or eating in the middle of art furniture. There are also different flowers and plants grown around the cafe. This makes the atmosphere more natural and attractive. There is also Free Internet WiFi offered here. So, it is a great place for relaxing in Pattaya.